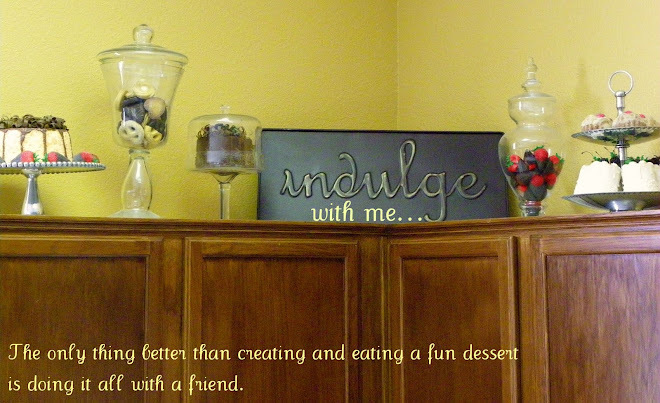 Indulge With Me: Happy Birthday Don! I felt honored that Mindi asked me to make Don's 30th birthday cake. She did the cutest party for him where the theme was his 30 favorite things. He wanted the same cake I made for Wyatt's birthday. Easy enough. Chocolate cake, chocolate pudding and raspberry for the filling with cream cheese frosting. Since I'm not very good at writing on a huge sheet cake, I found this idea to cut it into the shape of a 30. Easy, especially when your husband is kind enough to help. We cut the cake in half, rounded the corners, and then measured and cut the 2 rectangles out to make the three. Thanks Mindi for taking these pictures since I ran out of time to take some.